YOUNGSTOWN, Ohio – A new, state-of-the-art student housing complex will replace two buildings at the corner of Wick and Rayen avenues, a local real estate developer said Wednesday. 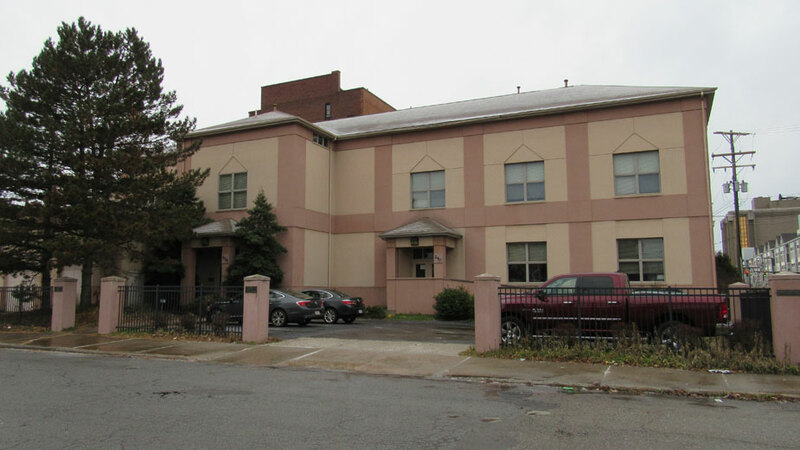 In December, Campus Lofts LLC purchased properties at 236 N. Champion St. and 235 Wick Ave., the Penguin Place property and former St. Vincent de Paul Building, respectively. Each building was purchased for $512,500, records show, for a total $1.025 million. The plan is to raze the buildings this spring and begin construction on student housing loft apartments with an expected completion in early summer 2020, said James Sabatine Jr., principal with Campus Lofts and owner of Trilogy Realty & Development in Canfield. Campus Lofts LLC purchased the former St. Vincent de Paul Building at 235 Wick Ave. Final designs are still in the works, but Sabatine estimates the building will house about 210 beds. The concept for the student housing complex “will be different from what’s there now,” and will feature a top penthouse floor with lofts, as well as technology and Wi-Fi infrastructure being engineered into the building, allowing for wireless internet connectivity throughout, he said. He declined to disclose any estimated costs for the project. The project is “a stone’s throw from everything downtown,” including the Public Library of Youngstown and Mahoning County next door and the DoubleTree by Hilton Youngstown Downtown a few blocks down the street, he said. The student housing complex will be across the street from the Chipotle Mexican Grill and Mercy Health-Youngstown urgent care clinic expected to open in late March in the retail portion of The Enclave student housing development, which sits catty-corner from the Campus Lofts site. The Northeast Ohio Development and Finance Authority, the economic development division of the Western Reserve Port Authority, currently operates out of office space in Penguin Place at 240 N. Champion St. The agency had two years remaining on its lease, but Executive Director John Moliterno said they were made aware of the plans for the development “well in advance” and are exploring their options to be out of the building by June. John Moliterno said the NEODFA will be out of its space at Penguin Place by June. 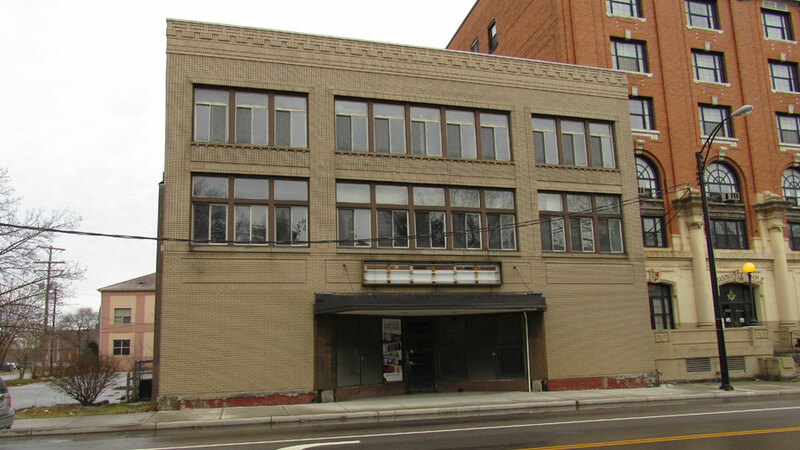 Constructed in 1924, the St. Vincent De Paul building has housed multiple storefronts, including the Youngstown Sample Furniture Co. and Strouss’ Music Center, until it was sold to the Masonic Temple next door, which in turn sold it to Sebastian Music Center in October 1980. In 1993, the St. Vincent de Paul Society opened a thrift store, which operated there until 2006 when 10 to 20 bricks fell from the top of the building and damaged two vehicles. The thrift store later closed and the society made $115,000 in repairs, with the city putting $20,000 toward the project. Cleveland-based USA Parking Systems Inc. purchased the property in 2007 and sold it in March 2012 to the NYO Property Group. Pictured above: Campus Lofts LLC purchased properties at 236 N. Champion St. and 235 Wick Ave. for a total $1.025 million to make way for a new, state-of-the-art student housing complex.